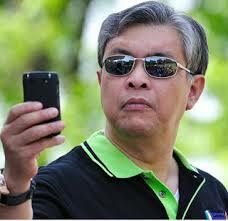 IT'S TOFFEE'S TURN: Najib making reservations of Hell's Hottest Spots for Malaysia. Najib making reservations of Hell's Hottest Spots for Malaysia. 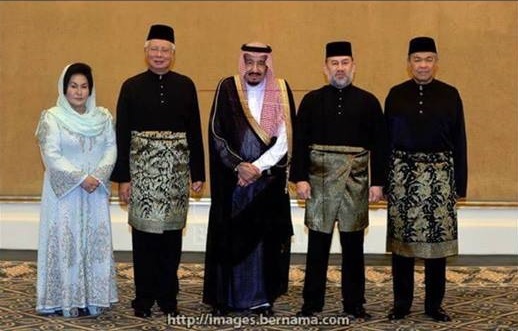 In today's Middle (Muddled) Eastern Crisis, Malaysia, a member of the OIC and Najib and Rosmah being so closely beholden to the Saudi Royals to the extent that those Royals have been even giving them (im)moral support in the 1MDB and other scandals have decided to declare neutrality. 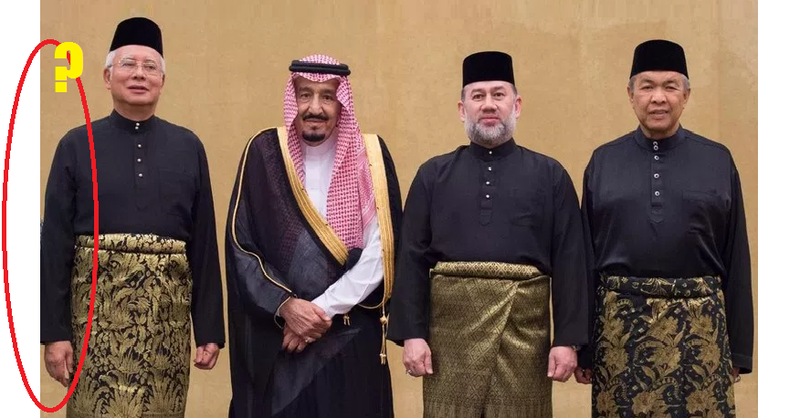 Malaysia's stance has not gone down well with the "House of Saud" to the extent that Saudi papers of late have become critical of the Malaysian leadership. Times, The Malay Mail, a host of East Malaysian dailies, and the vernacular press, including the Tamil Nesan, the Nanyang Siang Pau and the Sin Chew," most of which are owned by the government through its political parties or cronies. in the article titled, "Malaysia's 1MDB misses Abu Dhabi payment. 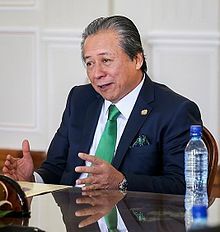 Saudi Arabia is watching Malaysia to see if Malaysians are playing game right, they are expecting more from Malaysia, especially that Saudi Arabia has intimate knowledge about purported " donations" supposedly from their Kingdom, where claims were made by high ranking Malaysian ministers that it came from the Saudi King himself. 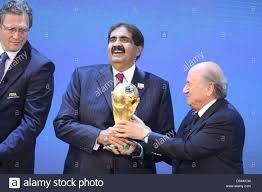 That certainly compromises our stand if it is to be in Qatar's favour. Did he make any Donation? Qatar has promised Malaysia huge investments and that could turn to naught if Malaysia takes a stand against them. 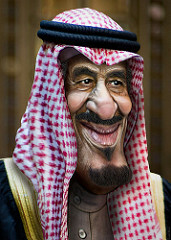 In the midst of this muddled eastern problems Malaysia is trying to broker a settlements, and to really get a view of what the Arabs think, try telling it to an Arab when you meet him overseas, he will only scoff at you. Arabs have absolutely no regard for Malaysia - leave alone high regards. leaving middle east affairs to Rosmah Mansor whom Najib had once hailed as very effective as she has been reported to have secured the safe return of Malaysian students from Egypt during the Muslim Brotherhood troubles in Egypt by her good relations with the Arab rulers and ministers, she had acted as defacto Minister of Foreign Affairs whilst the foreign minster stood in the background then. There is no point shouting and making noise about Israel when the Arabs can't put their own houses in order. So where is the real problem with Malaysians taking a firm stand in this conflict? Najib is busy, he is extremely busy in "Operation cover up." So does Najib's deputy have the mental capacity to comprehend the magnitude of the Muddled Eastern Crisis and its implications on Malaysia, Malaysian politics and the economic and political implications that may arise out of this dispute? Not fluent in Arabic or English. Speak in Javanese with the Arabs. I think not, he does not even comprehend his role as the Deputy PM so how can he ever handle such a big problem, moreover his fluency in languages gives him very little room to manipulate in diplomatic circles. What will he do speak in Javanese? Najib has also proved himself to be useless in the arena of politics, he is nothing but a man who uses downward authority and that too by using his people never daring to come out in the opem to take a decision and say, "it is my decision." Why he can't even handle the press the international press leave alone a diplomatic initiative, he literally runs away from the International Press, press statements he makes are made prepared and mainly with Bernama or the local media, Najib can never stand up to the International Press, he has shown it time and time again - our Prime Minister, gosh!!! WILL THE NAJIB REGIME TAKE A STAND? The Najib regime is now under fire like it has never been before, from all angles, the entire government is compromised and in complete denial that they decide what the Constitution must be. It is the law of the jungle that prevails right now, Constitutional procedures are of no consequence, anything they want just happens under total defiance to the rule of law and the Federal Constitution. This situation is called Anarchy, just in case you do not know. The DOJ has identified the wife of MO1 as the person who had done all those lavish purchases including the pink diamond, those super expensive handbags, clothing etc that ran up bills in the Millions of dollars,US dollars' all allegedly taken from Malaysian Ringgit of a sovereign fund - money belonging to Malaysians. It is really a awefull after spending millions of dollars of our money we have yet to see her photographed in those pink diamonds, wherever she wears them. It is only reserved for the "High and Mighty" of other countries and I guess she carefully avoids the photographers/paparazzi at such events to ensure that she is not caught with the pink diamond in their midst or is it a piece just for her to own and keep in her showcase or Jewelry Box. Now to Rosmah. Did her early "diplomatic visits to the Middle East, one of the world's most difficult regions in the world to deal with (the Arabs) compromise any diplomatic clout we might have built over the years in the region? Were there any "donations" that went Rosmah's way during those early trips that now leaves the Najib and the Malaysian Government compromised? She has openly claimed that she received presents from foreign visits, those presents are not hers and if she is keeping it as her own, it is wrong it belongs to the state, ask her to check that out. Is this person really as stupid? latest 1MDB-related lawsuit filed by the United States Department of Justice (DoJ). Will Najib then in his personal capacity and as the father of his adopted son be doing so? Will his famed lawyer Mohaammed Shafie be going over? The lawsuit involves alleged Malaysian Property, and the DOJ has emphatically said that it will be returned to Malaysia, although I feel it will not be returned whilst MO1 is in power, however if it is ours we have an interest and we have to be there. This indifference is just plain stupid. 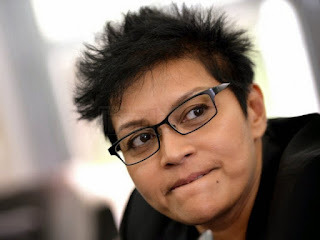 Azalina has to send qualified personnel from Malaysia to at least hold watch and appoint qualified American lawyers to engage in protecting these "Malaysian interests" if they are indeed Malaysian interests. May I suggest Gerorge Varghese, and Gopal Sri Ram they seem most qualified, or is that we do not trust honest men, men of impeccable integrity. Gobid Singh Deo has said he "respects" her, but has said that her actions are irresponsible. I will agree with the later part of Gobidn's statement, I may have some sympathy for her only if she is stupid, but we are talking about a person who holds Diploma in Public Administration (DPA) (ITM), LLB Hons. (University of Malaya) and LLM (London School of Economics, butunlikr Gobinf I have absolutely no respect for Azalina. nor faithful to their God, but stood apart. even the wicked cannot glory in them." I suppose that is the reward that awaits them if they truly believe in God and the after life. Sadly this is the stock of so many of the BN and PAS Parliamentarians today, even Judges and peoples of the various branches of Government have fallen prey. These are people so defeated by their own greed (pain as Dante puts it) that they do not see their real pain, so deplorable that even hell will reject them.